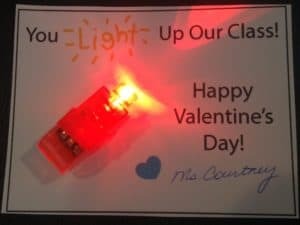 With Valentine’s Day just around the corner everyone’s asking for some unique Valentine’s Day card or gift ideas for their children’s ministry. I have a couple of ideas for you that the kids are going to love. What kid doesn’t love a bouncy ball or a flashing light at their fingertip? Even better, these ideas are extremely inexpensive. Watch the video on DIY Valentine’s Day Cards for Children’s Ministry to see how it’s done. Then simply print the PDF version of the card you’d like to use. And to make things super easy for you, I included links to the products I used on Amazon.com. (I do receive a small commission if you use this affiliate link. These are the products I ordered and used for my kiddos.) It includes free two day shipping for Prime members which I absolutely love!! If you stick around you will notice I use Amazon for just about everything! If you use one of these, I would love to hear how it turns out for you in your ministry. You can easily use this Valentine as a community outreach give away. Add information about your bible classes to the other side and hand out in area neighborhoods or host a community children’s valentine party with activities and refreshments. It would be memorable.